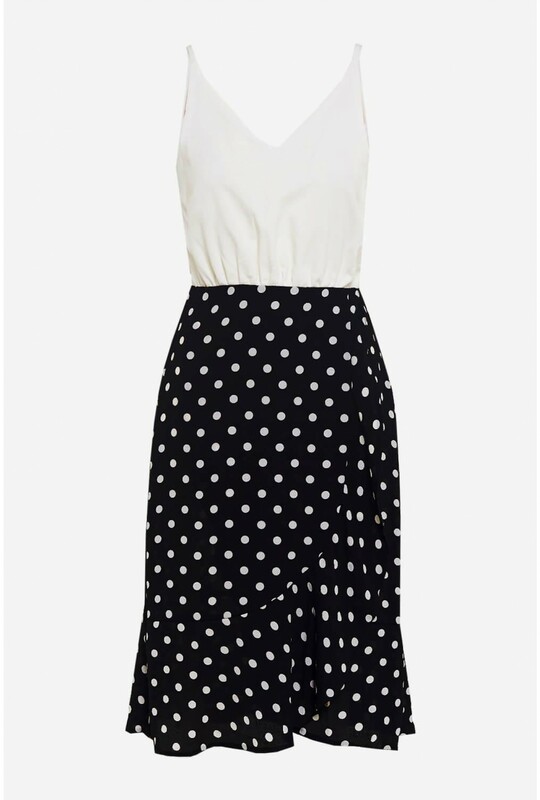 Make an entrance in this stunning polka dot dress. 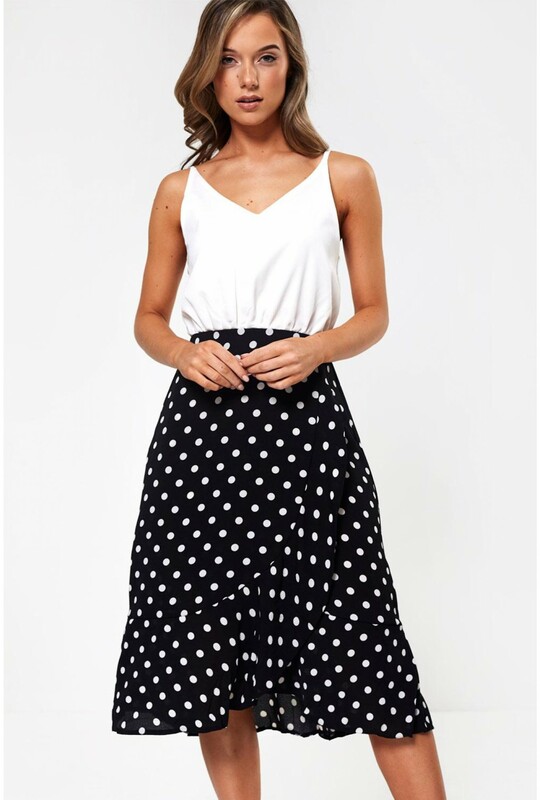 Featuring a frill hem for a touch of femininity, an elasticated waist and a flattering mock wrap skirt. Keep your accessories simple and wear with barely there heels and a clutch bag to complete your look.